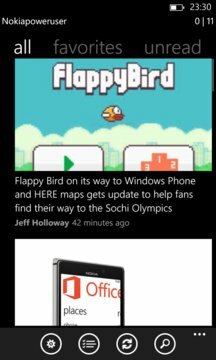 Get all the latest, unique Windows Phone and Nokia news from the Nokiapoweruser blog. - Open directly in the "unread articles" page. - Automatically download articles and get notifications on new ones with quiet time support. 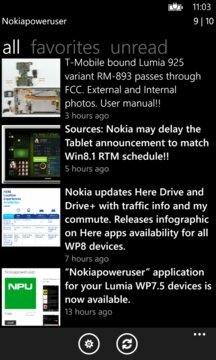 - Use Transparent, NPU green or article image live tiles support including wide tile.